This Presentation date is February 7, 2019 at 12:30 - 14:30 local time. 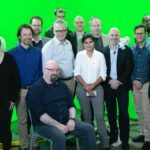 The NetApp Active IQ intelligence engine uses machine learning, predictive analytics and community wisdom to create actionable intelligence that allows customers to proactively optimize their NetApp solutions and improve their user experience. In this 10-minute video, Marty Mayer will introduce Active IQ and its “Face” and “Brain.” He will look back at the evolution of Active IQ, discuss how we create insights and recommendations using the telemetry data from 300,000 storage assets, and the real benefits we’ve seen for customers. During this live demo of Active IQ, Sudip Hore will walk through several key workflows for two personas: IT Admin and IT Architect. You will see how an IT director ensures his systems are running properly, quickly addresses risks before they become problems, and stays on top of any security vulnerabilities. Next, Sudip will show how an IT Architect can easily identify areas to improve her environment and plan for growth. Presented by Marty Mayer, Director, Product Management, Active IQ, and Sudip Hore, Sr. Manager, Product Management, Active IQ. In data science, volume, velocity and variety matters. 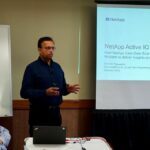 Shankar Pasupathy discusses how NetApp uses telemetry data from our large and diverse install base to deliver deep insights and recommendations with Active IQ. He will also talk about ‘prescriptive ops” and how NetApp is helping ensure everyone managing NetApp storage is able to thrive.